Spring is so close you guys! It isn’t warm enough for a sit in park or a rooftop bar, but there’s always an exhibition or two to check out in London. 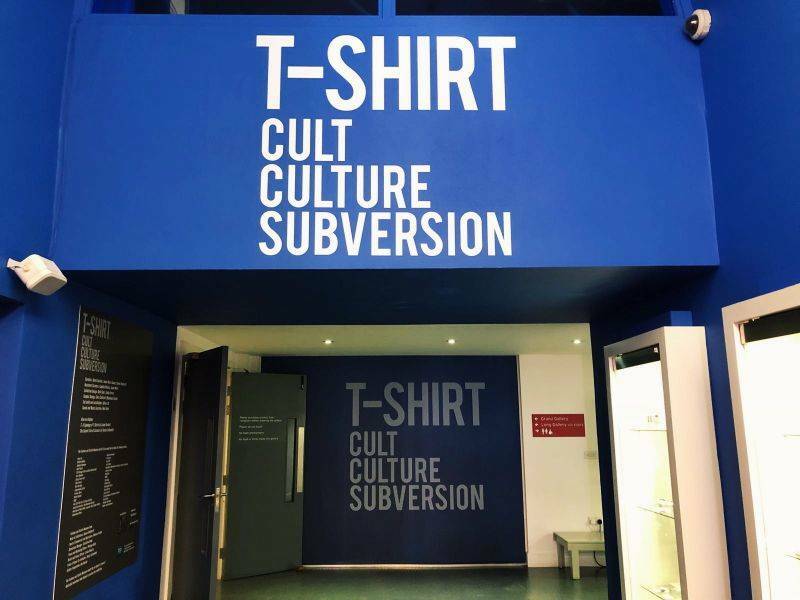 On this weekend’s programme was the Fashion and Textile Museum’s T-Shirt: Cult – Culture – Subversion exhibition. If you are in doubt of going ask yourself if during your teens you’ve owned at least five band T-shirts or shirts with a funny quotes to express yourself. If the answer is yes, then you should go. This exhibition isn’t huge, but makes good use of the space and interesting story telling. 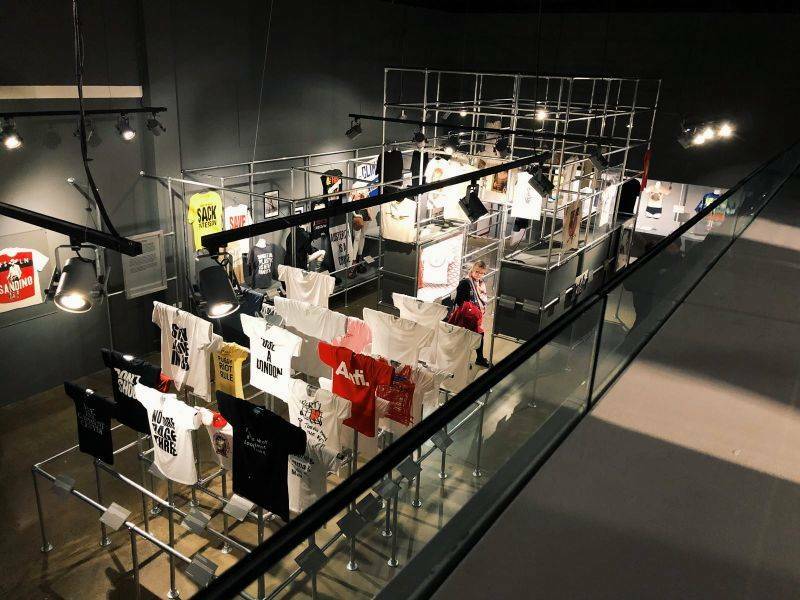 After a quick history lesson (where I learned that the famous Hard Rock Cafe T-shirt was first released in London in mid 70s and that the famous I Heart NY followed a few years later) you’ll learn more about how the T-shirt has played an important part in all subcultures. 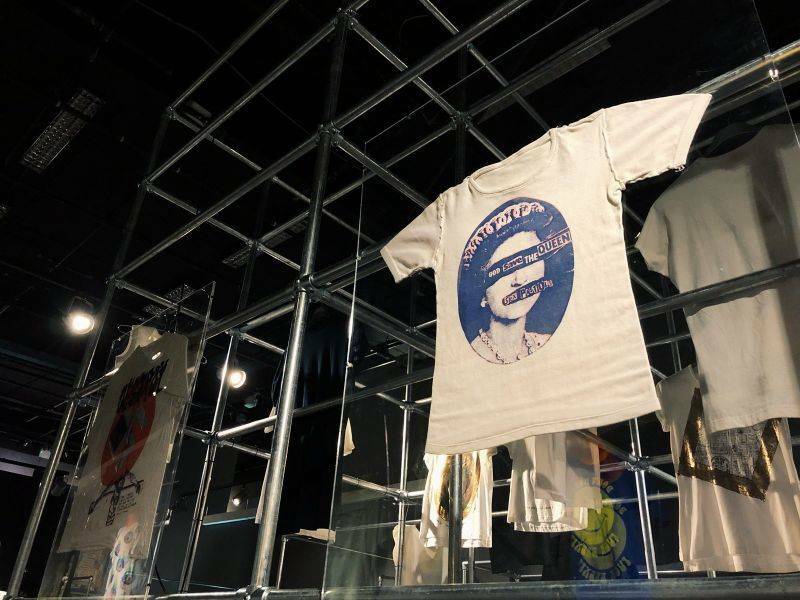 The exhibit also includes Vivienne Westwood’s take on the T-shirt as well as how the T made it’s way to haute couture … including the “We Should All Be Feminists” T-shirt from the 2016 Dior show. While you won’t see Seth Cohen’s ‘Now Start A Band’ T-shirt, or the offerings from Napoleon Dynamite, Rocky or the Big Leboswki, there is the Unknown Pleasures, the infamous USC and a more tie dye than you shake a stick at. The exhibition runs until 6 May 2018 and tickets are £9.80. If you find yourself in the area, why not go for a coffee and banana bread at Fuckoffee, check out Maltby Street Market or – once Spring gets here – head to Leathermarket Gardens.